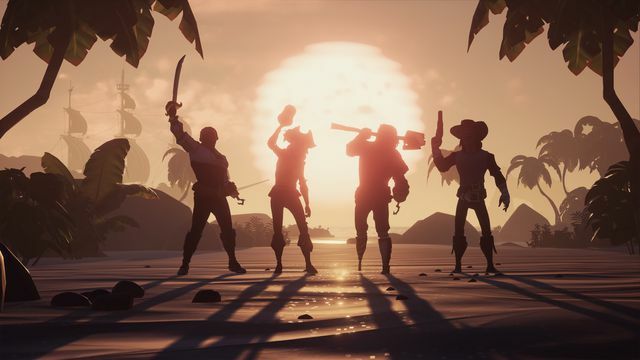 Starting Feb. 6, Rare and Microsoft will offer a weeklong promotion that allows Sea of Thieves owners and Xbox Game Pass subscribers invite up to three friends to play the game for free. Eligible players can access the codes via the official Sea of Thieves website. Any player who redeems the code for the free week will also receive a 35 percent discount on the game, which will last until Feb. 27. What’s especially interesting is this promotion comes along with “Mercenary” voyages from the Bilge Rat emissary, Duke, in the taverns. Mercenary voyages will offer a mix of Sea of Thieves activities, likely similar to the “best of” format of an end-game Athena’s Voyage, and task players with finding the treasure of the notorious “Rum Runner.” There will also be Mercenary-themed cosmetics as a reward. This event likely acts as a bridge between weekly events and full expansions, offering a fun dose of new content and an onboard ramp for new players. Sea of Thieves is enjoying a return to the spotlight after it shored up content over the course of four successive expansions. The game’s fifth free expansion, The Arena, will launch sometime early this year and will add a new PvP-centric, fast-paced, self-contained game mode.